This 8,951 square foot Union Street property is a two storey wood frame building erected about 1949. Originally a retail clothing store, the ground floor commercial space has been operating as the Academy of Hair Design since 1986. The second floor features 6 residential apartments and includes a common laundry with coin operated washer & dryer. The building has a 400 amp (3 phase) electrical entrance. The residential units are all individually metered. The flat tar & gravel roof was renewed within the last 5 years. Natural Gas hot water heating in apartments. A mix of radiators & overhead projections units in commercial space. Commercial space is also air conditioned. The owner received a small grant from uptown Saint John last year to redesign the buildings storefront which has been done. The building is now eligible for a grant up to $5,000 or 50% of the cost to build a new façade. 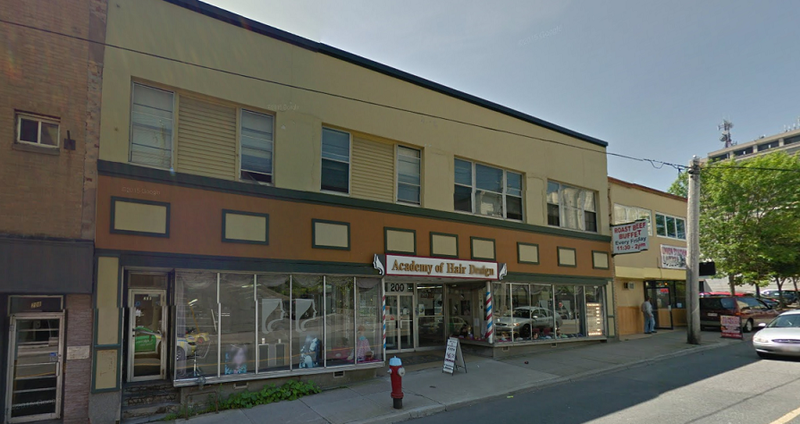 The building is located within the central business district just steps away from the Saint John City Market, King Square and the “Golden Ball” office building. Union street is a principal throughfare running east/west from Smythe Street near Saint John Harbour, easterly to the Courtenay Bay Causeway and Crown Street. This location offers high traffic and high visibility. The building includes 7 parking spaces at the rear of the building (several deep enough to park 2 cars end to end) and also benefits from the adjoining City operated parking lot at the rear of the building. Listed below appraised value. Appraisal available to qualified buyers.